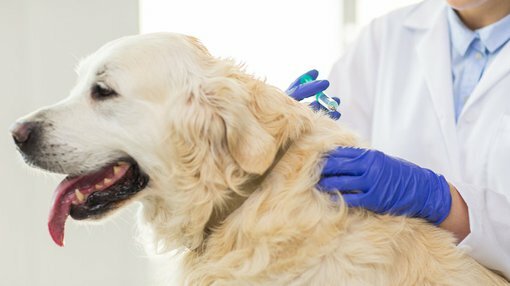 Shares in Apiam Animal Health (ASX: AHX) fired up in mid-August after the company announced that it had signed an agreement to acquire Quirindi Veterinary Group (QVG), one of Australia’s largest rural veterinary groups with revenues of circa $12 million. AHX’s share price increased from approximately $1.50 to hit an all-time high of $1.88 in response to the news, representing an increase of 25%. There was further good news to come with the group announcing a fiscal 2016 pre-tax profit of $1.1 million, 94.5% ahead of prospectus forecasts. However while there is a strong economic outlook, market conditions can fluctuate, so as with any investment it is important to seek professional financial advice if considering AHX for your portfolio. If Bell Potter analyst, Jonathan Snape, is on the mark the group will experience a significant increase in profit in fiscal 2017. He is expecting revenues to nearly double to $104.8 million in the coming 12 months, and is forecasting a net profit of $6.9 million representing earnings per share of 6.8 cents. The recent retracement in AHX’s share price could present a buying opportunity, and the company is trading at a slight discount to Snape’s 12 month price target of $1.79. However, there was one caveat in his assessment of the stock, as he highlighted the level of business investment had been greater than he had expected. However, looking at the bigger picture and the group’s long-term growth drivers he said, “With less than 1% share in the veterinary market and less than 8% share in the vetchem market AHX has the scope to act as a consolidator in a fragmented market sector”. Snape estimates AHX has the scope to deploy approximately $10 million for acquisitions from internally sourced funding (assuming 30% scrip funding) which at target EBITDA multiples of between four and six suggests the scope for earnings per share accretion at full utilisation of between 10% and 20% on a pro-forma post synergy fiscal 2017 forecasts basis. It is important to note that comparisons should not be drawn with Greencross (ASX: GXL) as the businesses are very different in terms of the markets they address. Also, GXL is a relatively mature business with a market capitalisation of $750 million, while AHX has been trading for less than 12 months as an ASX listed group and has a market capitalisation of $170 million. However, the latter has the opportunity to grow quickly off a small base in the early stages (similar to Greencross), and if management executes well on its strategy this could provide share price momentum. For example, when GXL started to accelerate its growth by acquisition strategy between 2012 and 2014 the company’s shares increased from approximately $1.40 to hit an all-time high of $10.78. However, it was arguably poor execution on the back of its largest acquisition that brought the company unstuck in recent years, and AHX will need to be careful that it doesn’t fall into the same trap. 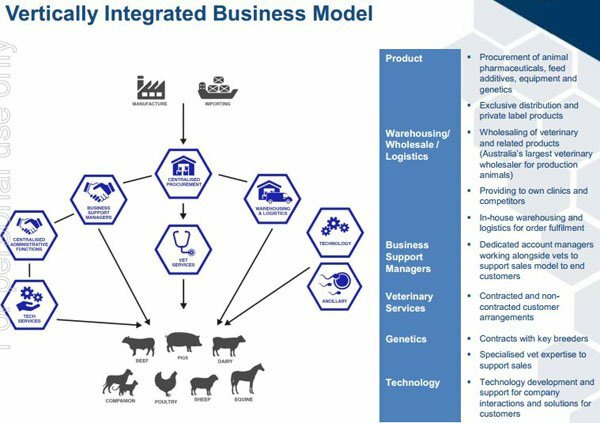 In terms of the group’s addressable markets, it is a vertically integrated animal health business providing a range of products and services to production and mixed animals. Its focus is more on the provision of care and services to livestock rather than pets, which is predominantly GXL’s corner of the market. AHX’s position in the livestock market was strengthened with the acquisition of QVG, as it provides veterinary services to large beef production systems throughout Australia through its feedlot services business, as well as offering equine reproduction services at its custom-built centre near Scone in New South Wales. QVG also runs a livestock and companion animal veterinary practice located in Quirindi. As part of the acquisition, AHX will acquire proprietary technology to improve clinic efficiencies, data analysis systems for feedlot cattle and specialised assets for reproduction services. 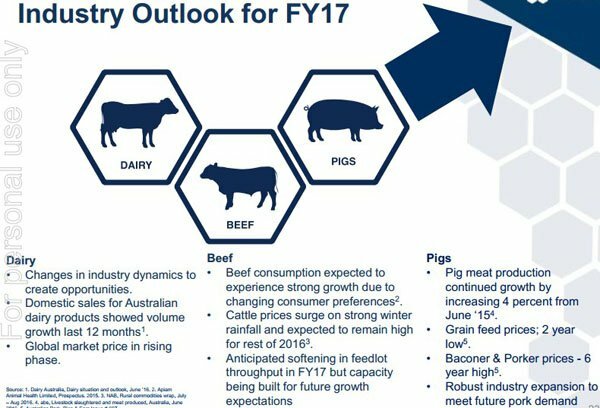 In reference to the QVG acquisition, AHX’s Managing Director, Dr Chris Richards said, “QVG is an excellent business that counts some of Australia’s most innovative beef producers as its customers and is a strong strategic fit with our core business with all three aspects delivering strong synergies and improving our capacity in the be feedlot sector while expanding our genetics business and presence in rural New South Wales”. As indicated below, industry conditions should generally work in AHX’s favour in fiscal 2017. This suggests that the successful integration of the QVG business along with carefully targeted acquisitions could see the company prosper over the next 12 months.